The work of American artist Ellsworth Kelly on abstract art is monumental. His 1976 work, Color on a Grid emphasizes bright colors and simplicity of form. There is a randomness to the color placement that is intriguing and in my mind foreshadows the pixelation of digital imagery. Color on a Grid was one of the inspirations for the QR Code Project. The hues of QR Code 1/Color on a Code are inspired by the lithograph. 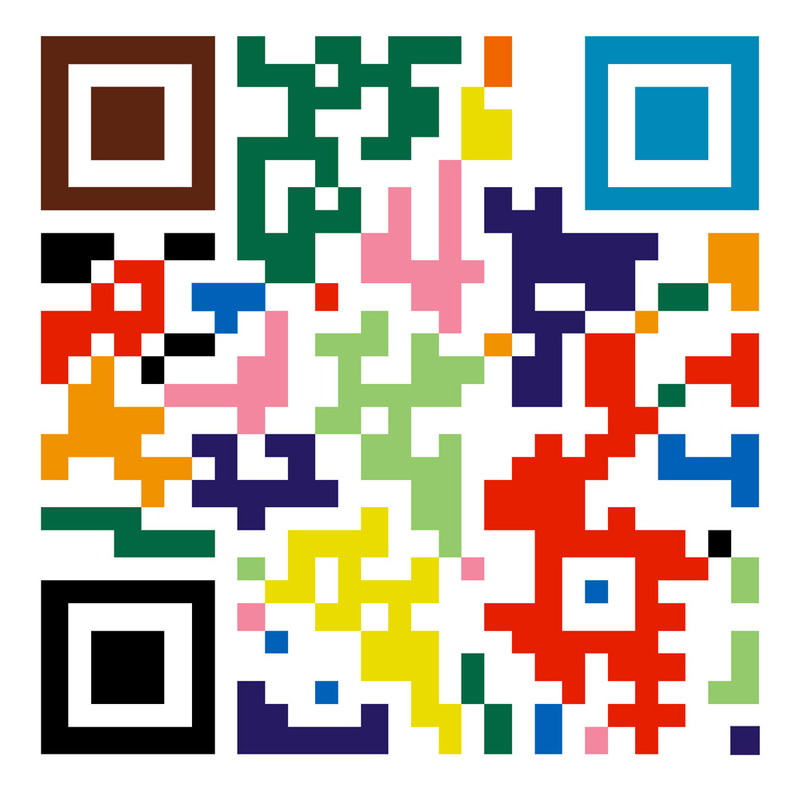 Unlike the lithograph however, the shapes on QR Code 1/Color on a Grid are not random. This is perhaps the most significant difference between computer generated qr codes and abstract art. To the human viewer the grids and shapes appear to be random, but by using a qr code reader, the viewer is taken out of the randomness of the pixels and into a concrete representation of text, images, video or audio.